Subhadra Dutta, Ph.D. leads the People Science & Analytics team at Twitter, Inc., handling metrics, advanced analytics, assessments and research. 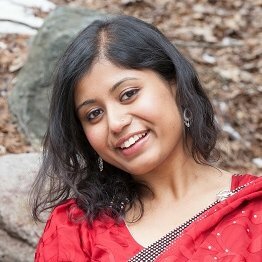 Subhadra and her team are responsible for measuring, understanding and predicting employee behaviour, ranging from selection/hiring, engagement, productivity, to attrition that involves devising innovative assessments and advanced analytic techniques. People Analytics is old and new in different respects. Among Industrial/Organizational Psychologists, the idea of linking data within HR constructs has been around since the mid to late 1900's, but what is emerging and booming is the interdisciplinary nature of the field. The synthesis of new data sources and analysis techniques to discover insights around topics we were not thinking of before has been and will continue to be remarkable. However, with this excellent progress, we need to caution/balance ourselves from turning to the dark side, e.g. legal, ethical issues or even excessive data mining for sake of analysis without research backing. Communicating the results at the right time, and the storytelling piece. The analysis rigor is becoming only as good as you are able to communicate your insights to the relevant audience at the right time. Resources - finding talent who can build data infrastructure and analyze data rigourously, understand HR concepts, and communicate effectively are rare compared to the demands of the growing field. With the GDPR and other data privacy laws looming, a look into the ethics and legal side of People Analytics is in the books for 2018 predictions. The accelerated boom of People Analytics will have to stop and reflect its course!